The real old, witty insult has come a long way since it was first blurted out by Mr. Caveman back in pre-historic times. That first grumble started everything and the rest, as they say, is history. Fast forward to 2017 – there’s now plenty of ways to deliver an insult to anyone, whether you know the person or not. And it can be done from a very familiar location: the relative safety of your home, sat at your desk, using a computer, typing furiously (instead of barking around as your distant ancestors did). Online harassment is reaching epidemic proportions. In the beginning, wasn’t the Internet promising a new era of civilized conversations? Here in the United States, freedom of speech is protected from government restrictions by the First Amendment to the United States Constitution. So what’s the difference anyway between a good old joke and harassment? Well, a joke is usually funny. Yep, that’s right: the fun has got to be both ways. A line is crossed when there are tears (we’re not talking about tears of joy here). Maybe it’s time to call time on the bullies. Twitter seems to be thinking so. Everyone agrees there will always be trolls out there. Apparently, it’s a sad side to human nature. But since last month the company is making it harder for people who have been suspended for harassment previously to create new accounts. For obvious reasons, Twitter can’t disclose just how exactly it’s doing this. But the fact it is taking action has to be a good thing. Insiders say that in all likelihood users are still going to see some of the usual roughness, though it is hoped most of the mindless drivel will be flushed out. Phew! Also Twitter is working on a “safe search” feature, this is meant to remove those tweets that have sensitive content or come from muted and blocked accounts. These changes are being rolled out progressively so keep an eye out for them and be sure to share your thoughts about that with us. Are these changes making a difference? Are the tone of your exchanges better – if only a little bit? It’s important always to remember and follow the usual safety rules when online, so here are some Twitter-specific tips for you. Malicious people will sometimes try to take over accounts so they can send private messages or spam to a person’s followers. To guard against this don’t click links in Direct Messages unless you were expecting a link from that person! Also, many hacks will happen when Twitter login details are entered into a fake website. So be careful of sites that look like Twitter.com it’s easy to get spoofed. Why not double check anti-virus protection while you’re at it? Granted, Twitter is doing its part to stop the insults flowing. How about you stop the hackers in their tracks with Panda Security? The company’s products include some of the most advanced cyber-security services available on the market. It may not stop the insults, but at least it will prevent you from becoming a victim of a cyber-crime. The post Online harassment: is it time we do something about it? appeared first on Panda Security Mediacenter. The post Delegated Recovery: Facebook gives its security a boost appeared first on Avira Blog. In 2017, it’s not easy to find a company that doesn’t have any sort of presence on social networks. A Twitter account, a Facebook page, and a lot of Instagram photos come standard in any business’s digital communications pack. Added to this are all of the employees who access their own accounts during work hours. Despite all this activity, there are still plenty of corporations that don’t regulate it, putting their own security at risk. According to a recent study by the Pew Research Center, around 50% of the companies analyzed have no briefing for social media use within the company. Businesses that don’t take this security issue seriously are exposing themselves to a diversity of threats. First, they may witness their own employees leaving negative posts about the company from their work stations. Worse still, they could publish confidential corporate data. Aside from avoiding potential scenarios in which lead to a corporate crisis, the main goal of a social network strategy should be too clearly define what your employees are permitted to do on them during work hours. One of the premises that should be clearly established is to not follow links whose origin is unknown or untrusted. In that way, and with the right protection, it is possible to avoid some of the risks hiding in the deepest corners of social networks. Phishing attacks, spam, or any type of malware could jeopardize corporate secrets. A clear policy for Twitter & Company is critical. Best social network practices could also increase productivity. This is demonstrably true, according to the same Pew Research study, as we see that 40% of employees at a company with no such policy use social platforms to relax a bit. On the other hand, when a clear policy is in fact in place we see the number drop to 30%. Not only, then, are we avoiding risks, but also promoting a more professional work environment. Does your business have rules for the use of social networks in the workplace? The post Why Your Business Needs a Security Strategy for Social Networks appeared first on Panda Security Mediacenter. 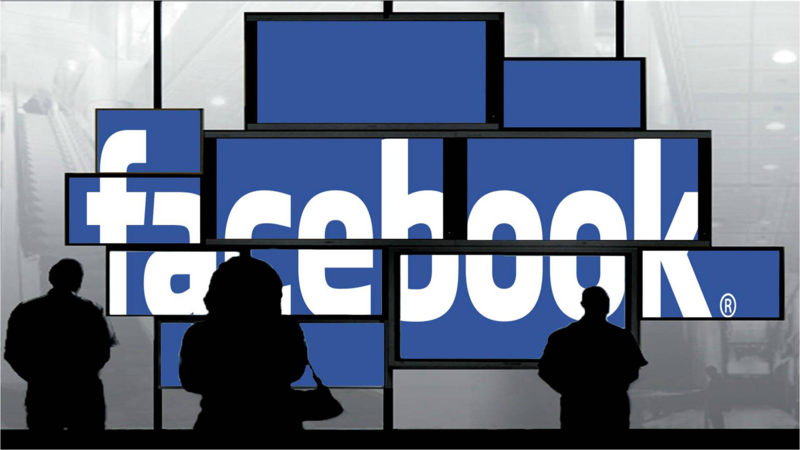 Facebook ads: How do they know what ads you might like? Facebook is trying to personalize the ads you’re seeing on the basis of many different measured values. You think you know them all? You might be surprised – this is a veeeery long list. 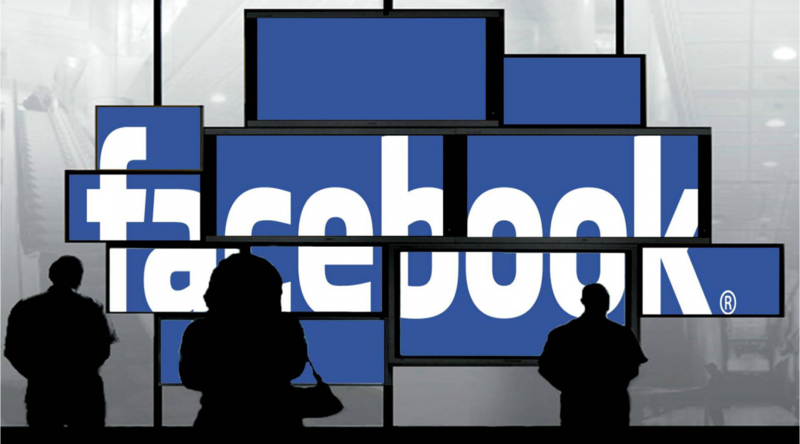 The post Facebook ads: How do they know what ads you might like? appeared first on Avira Blog. It’s very easy to write off any instant messaging app that isn’t Whatsapp as a clone of the famous messaging giant. How could anyone possibly take on the might of the Whatsapp –recently ranked as the best messaging app in the world for secure communication- behemoth? Well, WeChat, a China-based messaging app has an active monthly user base of almost 1 billion users worldwide and has recently been called one of the world’s most powerful apps by Forbes magazine. 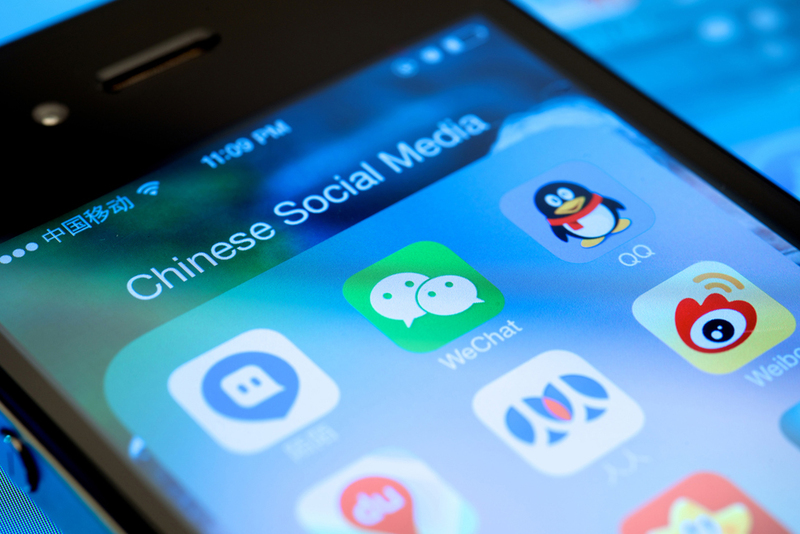 Here at Panda Security we’ve taken a look at the reasons behind WeChat’s success story and posed the question. Can the Chinese messaging giant challenge the western tech companies’ supremacy worldwide? WeChat is by no means a new player in the game. The app has been around since 2011, which by tech industry standards is a long time indeed. It’s easy to forget, when some apps currently form such an integral part of our daily lives, that Whatsapp, for example, was founded in 2009, only two years before WeChat. WeChat is a multifunctional and integral part of daily life in China. Whatsapp, with its user base of over 1 billion people, can rightfully stake a claim to being the most seamlessly integrated app worldwide, forming an important part of millions of people’s daily lives. However, many people who have travelled to China, for business reasons or otherwise, have found WeChat to be an unavoidable addition to their mobile devices. The transition back to using Whatsapp, many say, makes the western messaging giant feel one-dimensional by comparison. WeChat is not simply a messaging app. It’s many features means that it has managed to roll the functions of several apps into one interface, before companies that provide those functionalities in the west have had a chance to reach the Chinese market. 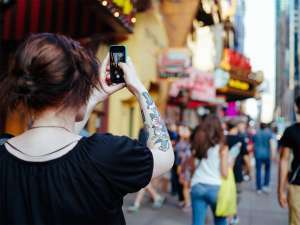 WeChat Shake, a function that allows you to shake your phone and talk to any other lonely -or bored- stranger who’s shaking there’s, makes the app a Tinder of sorts, helping users to connect with new people. Moments, meanwhile, is a social media feature, Facebook and Messenger combined. Think Facebook’s recent announcement that you’ll be able to make payments to friends via its Messenger app is world changing? WeChat has had a comprehensive Pay feature since 2013 that even allows users to pay the bills using the app. The Chinese messaging app is also a Slack, a gaming network and even an app store. In fact, WeChat’s multifaceted nature means that businesses and brands see having a prominent presence on the app as an essential step towards being successful in China. Not bad for a simple ‘messaging service’. The big players are paying attention. Mark Zuckerberg’s recent strategy of splitting the Facebook and Messenger apps may well have been inspired by a desire to emulate WeChat’s multifunctional approach. 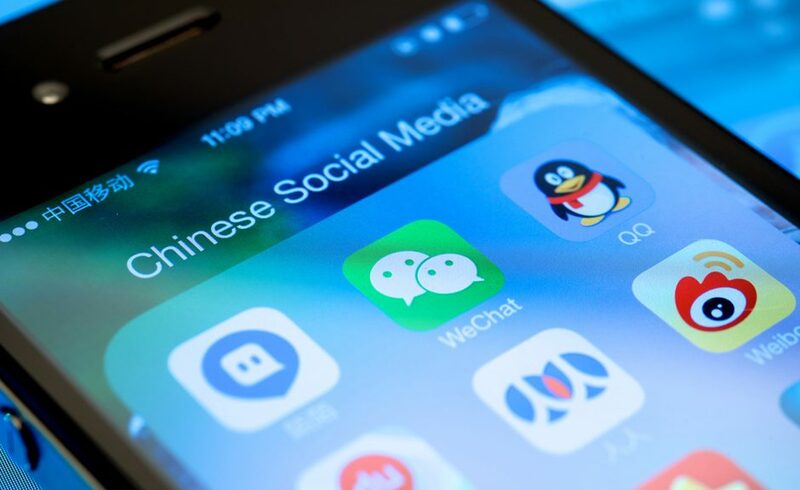 However, it has also gotten the tech industry in the west paying more attention to the potential of multi-faceted messaging apps, spurring an onslaught of new faces in the messenger market, as well as leading some to believe that WeChat could really stake a claim outside of Asia. Add this to the fact that a recent Apple keynote speech from Tim Cook, in which he took aim at the Chinese market, heavily featured the WeChat app. Do WeChat have an unfair advantage? Though it’s proving unsurprisingly tough for WeChat to break into the western market, they have a pretty comprehensive, and enviable, home advantage. China’s is, of course, an enormous market that tech giants such as Facebook and Whatsapp have had little success breaking into, due in large part to government bans and censorship within the country. Meanwhile, WeChat, and it’s parent company TenCent have comparable free rein to continue their dominance within China whilst also expanding and taking on the dominance of Facebook et al in the west. Perhaps the thought of one single tech company playing such an integral part in people’s daily lives is a scary idea. What if the app’s cyber security is breached? Would privacy become an even more controversial issue? All we know is that Silicon Valley has taken note, and the traditional tech giants that we know may be set to face a very real challenge to their dominance in the coming years. The post Is WeChat set to shake up the tech industry? appeared first on Panda Security Mediacenter. How is Internet privacy upheld in the â€˜digital afterlifeâ€™? How do you account for someone’s digital presence after they’re no longer with us in the physical world? The ‘digital afterlife’ is a concept that has been receiving increased attention from tech giants like Facebook and Google. Their aim is to make the passing of a loved one or relative easier, while also playing a role in celebrating people’s lives after they have passed away. The issue of Internet privacy is, of course, a touchy one and this is magnified immensely in the difficult period after someone has passed away. Whereas it used to be less clearly defined, Facebook recently felt the need to clarify the process that it adheres to after a user has passed away. If the social media giant is made aware of a user’s passing, there are two options; the account is memorialized or deleted. The account cannot remain active. There’s an important reason for this, and that is the curious cyber security risks that come with leaving the page of a social media page unaccounted for after a user has passed away. Unfortunately, the growing digital graveyard left by people’s data footprints as they lived their lives is not treated with the same reverence as its equivalent is in the physical world. There are tangible cyber security risks for a social media account that isn’t being used, with reported incidents of deceased users’ accounts being hacked and taken over by spambots. These accounts are often used for advertising, with some users having reported seeing their deceased relative or friend’s account starting to like pages on the social media website months, or even years after that person has passed away. People’s social media pages have also even been hacked after their deaths and distasteful messages left on their page as status updates. Facebook though, has had issues with processing memorialization requests; there have been reported cases of it taking up to 6 months for a request from a family member to be processed, and others of people receiving no response at all. With over a billion users, and some estimates claiming that more than 8,000 Facebook users die every day, it’s no easy task dealing with so many accounts and companies like Facebook and Google usually outsource such extensive undertakings. Whilst the policy is strict on what happens to deceased users’ accounts, the social media giants don’t want this to take away from the freedom of deceased users’ loved ones in having a say in their relative’s digital afterlife. Facebook have released a statement saying “there is more we can do to support those who are grieving and those who want a say in what happens to their account after death.” Google, meanwhile, have highlighted the importance of allowing people to “plan [their] digital afterlife.” Both companies allow users to designate a contact who will have access to their memorialized account after they have passed away. Facebook ‘legacy contacts’ and Google+ ‘trusted contacts’ are able to curate their loved one’s social media pages after they have passed, by posting pictures and leaving updates whilst those who are already friends can leave parting messages. Allowing this form of contact decreases the risk of cyber security being an issue in the digital afterlife. The post How is Internet privacy upheld in the ‘digital afterlife’? appeared first on Panda Security Mediacenter. It’s amazing how fast you can secure your Tumblr account. The following tips will enable you to secure your Tumblr account. The post 5 tips to make your Tumblr account more secure appeared first on Avira Blog. The post Online safety tips for social media and IM fans appeared first on WeLiveSecurity. Facebook, Instagram, Twitter, VK, Google’s Picasa and Youtube were handing over user data access to a Chicago-based Startup — the developer of a social media monitoring tool — which then sold this data to law enforcement agencies for surveillance purposes, the ACLU disclosed Tuesday.